Very interesting and well-written. Quick read. I truly couldn't put this work down... from the very beginning to the very last page I flipped through! I hope more people read this novel and understand the importance of health as being actual wealth. For quite a bit of the book, I genuinely thought the author was faking her illness. When she mentions the Southern expression--the 'blue devils', I think it was--which captures the notion of a young woman falling into self-perpetuating tantrums a la "The Crucible", I thought at first she'd given the game away. However, the presence of Dr. Nahjar and the critical response both to his diagnosis and to her NY Post article convinced me differently. Still, her refusal to follow through with group sessions and her fixation on how she looked after it all and how others looked at her (including the odd recounting of the lawn man ogling her) feels weirdly self-indulgent and, without much effort, I could be brought back to the idea that a lot of her condition was acted out, escaping, as she was, job failure and a hoarder lifestyle at the time it all began. 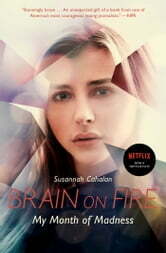 I read this book for more information on NMDA autoimmune encephalitis. I have a relative miles away who is struggling with this, and has one of the worst cases ever! I found the initial 'pre-hospital and admission' resonated with the stories I have heard about my family member's! The book just told how it was with no embellishments, which I was thankful for, because the illness is hard enough to deal with! I am grateful to know more about this and for the hope I got from the author's recovery.